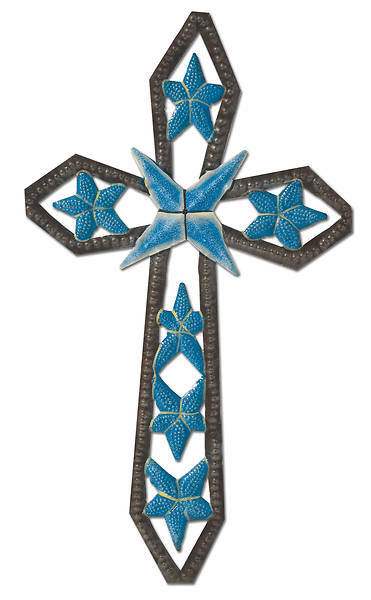 Crafted from recycled metal drums and decorated with textured blue flowers. A beautiful way to keep the Haitian people in your thoughts. 12 1/2" H.